This video game art is inspired by the iconic Nintendo game Mega Man. 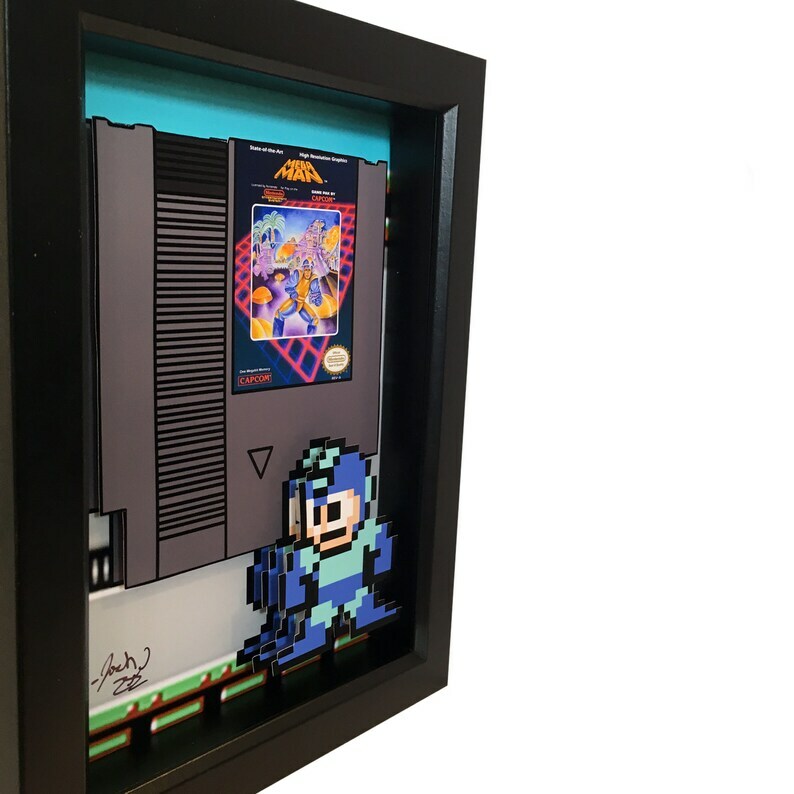 The paper cut Mega Man cartridge is rendered in 2D, while Mega Man is in 3D. This piece comes framed in a black shadow box frame and the artwork is signed by the artist.